For many campers who attend camp as a child turning 14 years old means one thing.. you can now become a CIT.. that is, a Counselor-In-Training. They look forward to being able to don the yellow shirt and not only carry a water jug or a clipboard full of roll cards, but the responsibility of being a camp leader. The CIT program gives teens a head start learning skills that will serve them as they enter the workforce. The core philosophy of the program is to provide one of the few opportunities where early teens can gain valuable experience prior to working age and learn about responsibility, teamwork, and the satisfaction that accompanies a job well done. They become an important representative of who we are as a camp and they help lighten the load of counselors so they can focus their attention on the campers. 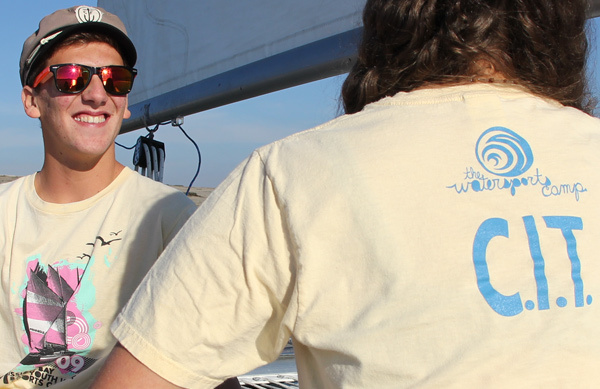 Typical responsibilities for CIT's include being observers in wakeboarding boats, giving sailing rides, and helping counselors supervise and manage groups. CIT also help organize the equipment for the activities and help with the parent' day picnic. ﻿﻿Many of the current staff of counselors at camp are former CIT's who atended camp as a child and continued on to become CIT's followed by becoming counselor. The process allows for a very experienced staff and are excellent representatives of who we are as a camp. Anyone who has turned 14 and is interested in becoming a Counselor-In-Training must attend an orientation The orientation will teach you about the requirements of becoming a CIT and what you need to do before your weeks of service. In-person orientations are scheduled at MBAC on Thursday, March 8 at 6pm, or on Sunday, March 11 at 9am. An online webinar is scheduled for March 15, at 6pm, for those who are interested in the program and can not make it to MBAC or would like to save gas. 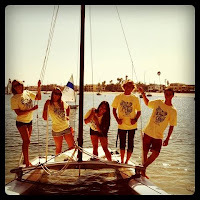 Most of your answers about becoming a CIT will be answered at the orientation but for more information about the requirements, or to register for the online orientation please visit http://www.watersportscamp.com/cit/.